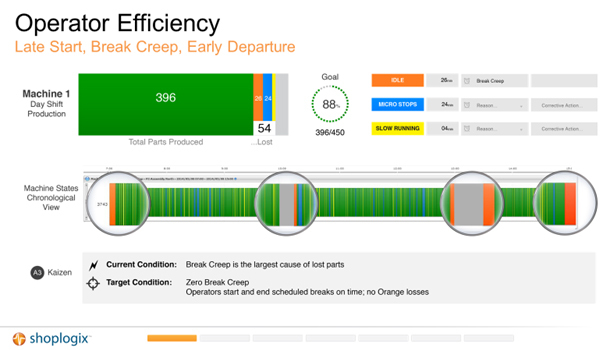 Shoplogix provides manufacturers with real-time visibility into hidden production potential on the shop floor. Insights gained with Shoplogix analysis and reporting software reduce operating costs, increase manufacturing profitability and drive rapid time to value. Shoplogix is designed to increase operational efficiency, improve quality, and drive higher levels of performance in all types of manufacturing environments. Clear graphical displays provide immediate visibility into loss areas, without the need to analyse any reports. This visibility facilitates immediate improvement actions. The software is deployed on a cloud server and as such requires minimal IT infrastructure and support. The cloud deployment allows access to the software anywhere in the world and simplifies software upgrades considerably. Shoplogix can connect to all kinds of machines, from old machines to the latest model machines. Connectivity can be achieved through OPC (PLC tags), digital signals and XML files. The implementation methodology is geared to quick installation and go-live of the software. This is facilitated through experienced consultants and configurable software. 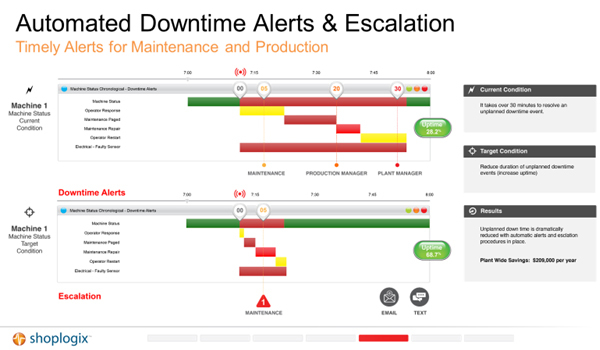 It is not uncommon to have plants with 20+ assets go live within a time-span of two weeks. Once a machine is connected, data is validated. 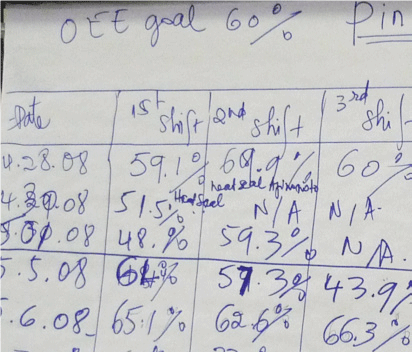 A base-line OEE is established to measure improvements. 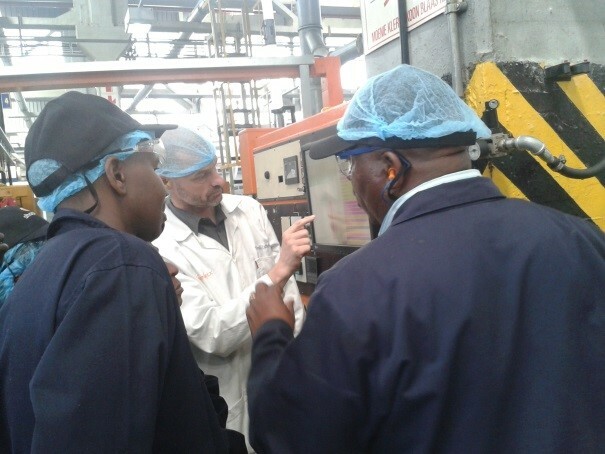 Part of the implementation is to set up a structure within the factory to facilitate Continuous Improvement. Training sessions and CI techniques will be demonstrated to the stakeholders. 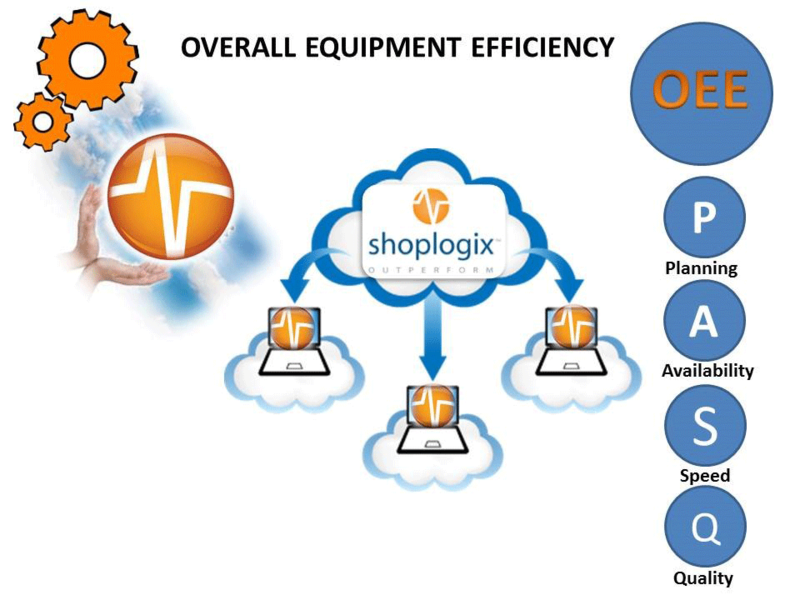 The Shoplogix implementation methodology is geared to quick installation. Customers are known to have implemented Shoplogix within two weeks. Due to fast deployment rapid time to value can be achieved customers can experience a payback within six (6) weeks. We are about bringing improvement to our clients! 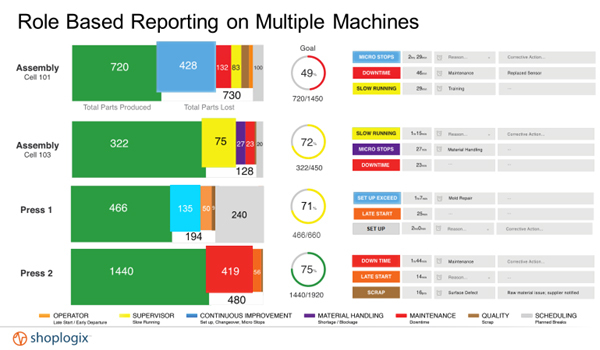 Shoplogix Real-Time visual reporting and built-in analytics make production reporting intuitive, insightful and easy to understand. Connectivity can be achieved through OPC (PLC tags), digital signals and xml files. The cloud deployment allows data to be accessed wherever you are. 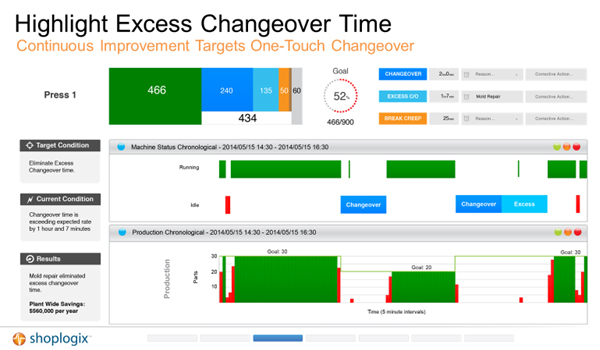 With Real-Time reporting you are able to continuously improve production and performance within the entire plant. Transform the world of manufacturing with Shoplogix. The introduction of Plantnode OPC to the Plantnode Enterprise Platform provides businesses with a cost effective, scalable and rapidly deployed solution for Operational Efficiency while taking advantage of the existing SCADA System. 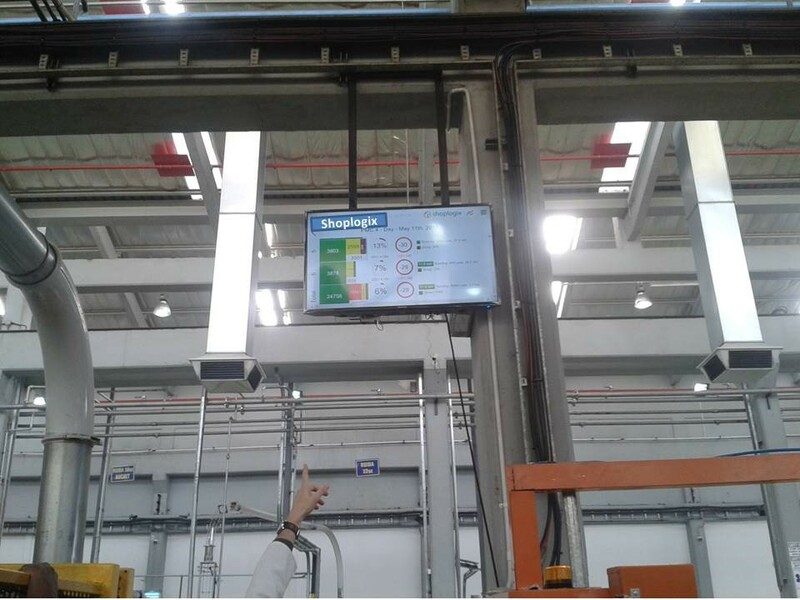 By simply installing the ShoplogixTM OPC client on your existing OPC server, you will gain access to the Plantnode Enterprise reporting capabilities for OEE, Continuous Improvement, Production, Maintenance, Quality, Scheduling, Labour, Line Analysis, WIP, Energy and Analytics. This web-based solution provides visibility to the entire enterprise and creates a reporting platform that drives sustainable continuous improvement across the organization, utilizing messaging, alerts, triggers, email and both web and mobile interfaces. 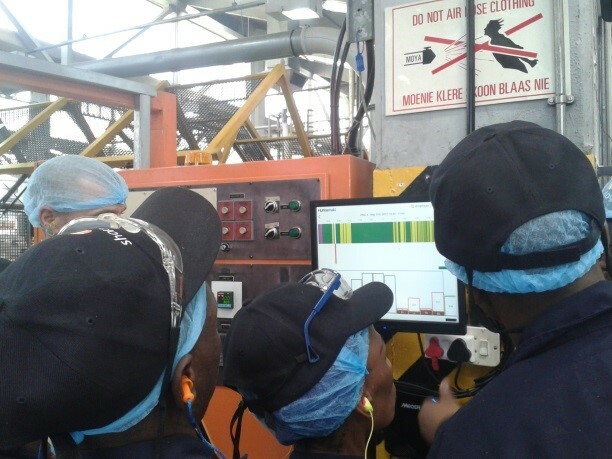 Data collection is an essential part in manufacturing. Manually collecting data can be inaccurate and unreliable, leading to inaccurate production reporting. Shoplogix eliminates the use of manually collecting production data. The Job Profitability report gives managers a good insight in the profitability of a job and helps them identify key factors that cause a decrease in productivity. Don’t wait for opportunity, create it with Shoplogix today! Shoplogix is an end-to-end performance management solution that provides real-time visual reporting and analysis of production to identify opportunities for improvement with actionable insights that deliver measureable results.